There's something about Rose Gold that absolutely get's me excited and I love nothing more than to pile on the makeup for special occasions. In my normal life I wouldn't dare wear this much makeup simply because I don't feel it's age appropriate even though quite a few women in their 50's do pile it on everyday. But given the opportunity to play in my stash for special occasions such as Valentine's Day is very exciting to me. 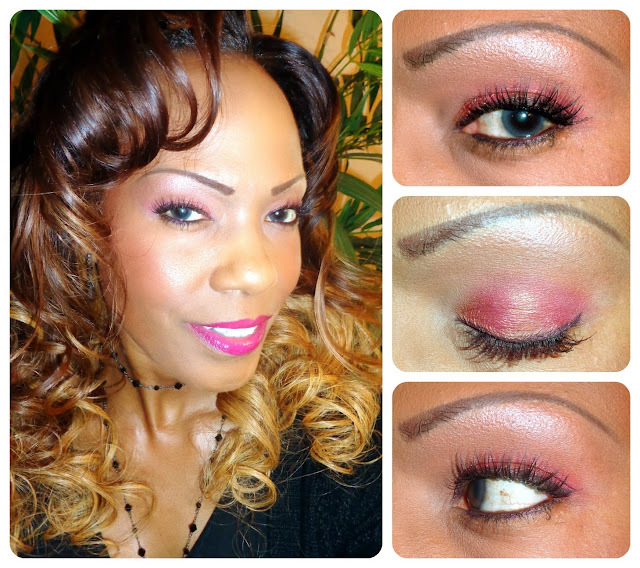 For this look I chose orange, deep pink and Mac rose gold pigment for a little sparkle. I used orange in the inner corner, deep pink in the outer corner and covered the entire lid with rose gold pigment. This was the final results.... so simple anyone could do! Very shortly I will be doing an "Anti-Aging" post showing a totally bare face. 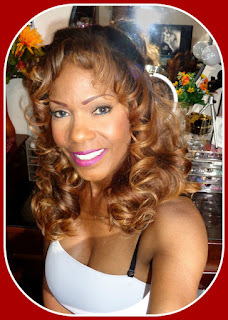 I have never had plastic surgery, botox, fillers or injections of any kind on my face. I want to share my natural "no-makeup" face so that you can see that I do have a few fine lines and wrinkles that does get concealed with makeup.